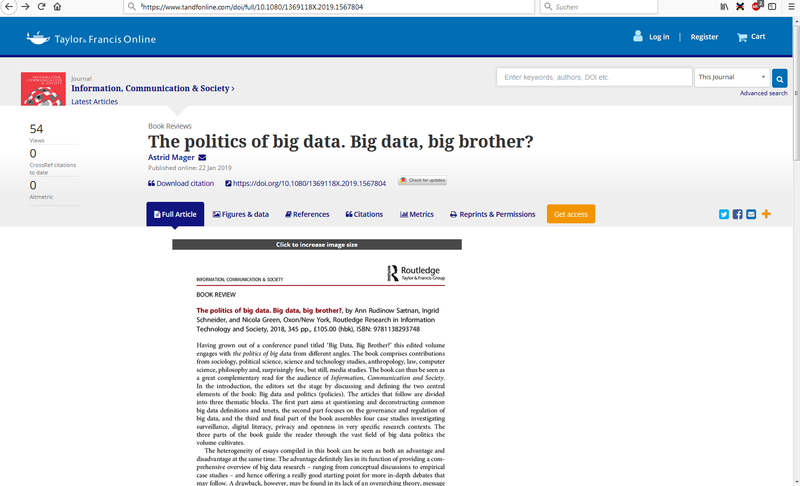 Here’s my book review of The Politics of Big Data. Big Data, Big Brother? by Ann Rudinow Sætnan, Ingrid Schneider, and Nicola Green for the journal Information, Communication & Society. It’s a great compliation of articles dealing with the politics and policies of big data in different contexts!